You may love it, you may hate it, but you just can’t ignore it! That’s what best describes Fiat Doblo Cargo, the winner of International Van of the Year award in 2011. What you cannot ignore its utility, efficiency, and wacky looks, which have been modified and tempered down in the latest models. Fiat Doblo Cargo lives up to its name largely due to its technical features. The rear compartment dimensions of 1680mmX1200mmX1305mm, along with the load space of 3.2m3 and loading area of 2.2m2 ensures that the claimed payload capacity of 850kg is not just a claim. The wide sliding door (685mm) ensures easier accommodation for bigger cargo as well. With a top speed of 161km/h generating torque of 127nm@4500rpm, Fiat Doblo Cargo is surely a powerful van tailor made for commercial purposes. Using the Fiat Punto platform, Fiat Doblo Cargo is made in Turkey, and features multiple improvements over its predecessor to deliver an extremely comfortable driving experience for the passengers. To name a few, there is an additional storage facility in the form of overhead parcel shelf and side door pockets. Glovebox offers a big storage capacity, which can easily hold a 14-inch laptop. Passenger seat features a secret document space. Besides, a document clip on the dashboard is something you won’t find in too many vans. Coming to safety parameters, besides the standard features, Fiat Doblo Cargo also features an optional accessory in the form of ESP stability control. A hill holder and front and side airbags are provided as standard safety measures. With slight modifications in design, the latest Fiat Doblo Cargo is a force to reckon with. Where earlier it impressed only the wacky users, now its universal appeal has meant that Fiat Doblo Cargo is one of the most popular vans in its category. 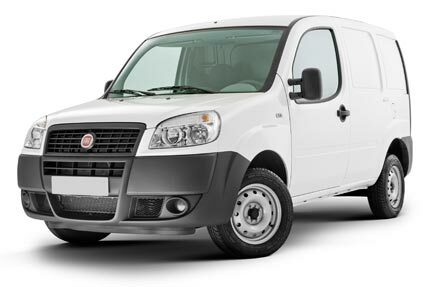 Got a Fiat Doblo Cargo to sell?